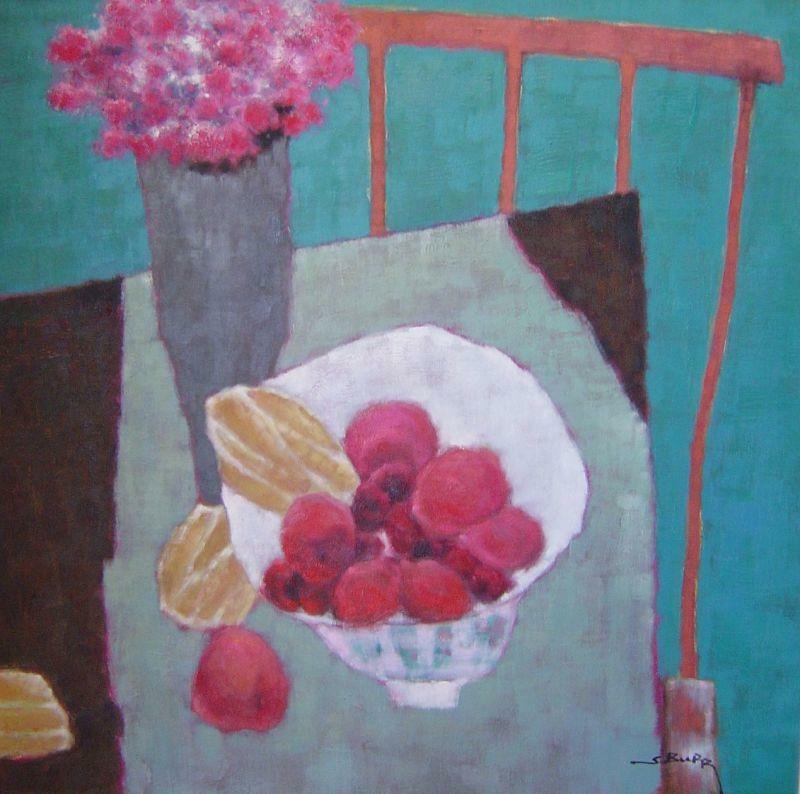 Burr is known for his still life oil paintings on canvas done in his own unique style. His subjects, often whimsical, are viewed from unusual perspective…crooked, flattened and simplistic. They could be considered naïve. His compositions, though uncomplicated, are beautifully rendered, with rich colors and dense, patterned textures, so lively that they appear to simulate natural linen fabric. Burr’s paintings hang in many collections throughout the United States, Canada and Europe. He works full-time from his art studio outside New York City.